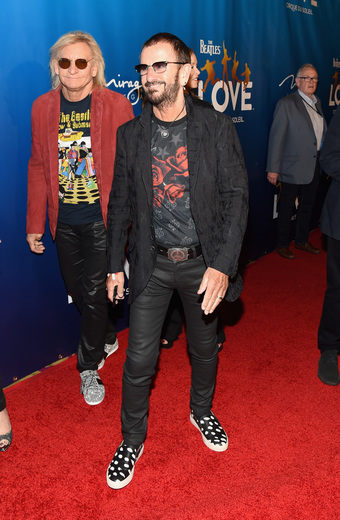 On Thursday, July 14, legendary Beatles Sir Paul McCartney and Ringo Starr reunited for an evening of peace, love and musical bliss as they celebrated the 10th anniversary of The Beatles LOVE by Cirque du Soleil. Following its creative EVOLution, which introduced vibrant new acts, music, technology, video, choreography and more, the show proudly performed to an energetic crowd with a full standing ovation at the conclusion of the anniversary performance. 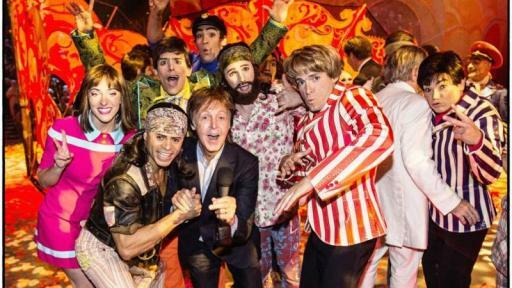 The house was packed with Beatles fans, Cirque du Soleil enthusiasts and celebrity friends—all of whom paid homage to the spectacular show. 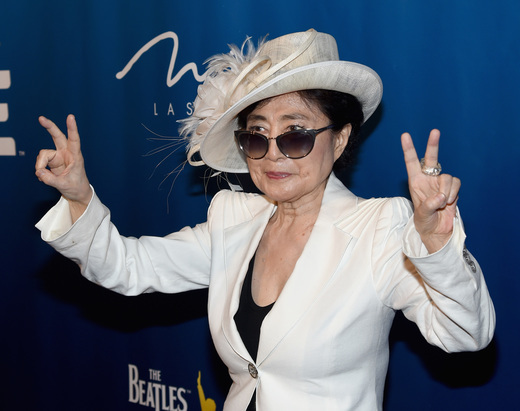 Held exclusively at The Mirage Hotel & Casino in Las Vegas, the celebration opened with a star-studded red carpet featuring special appearances by McCartney and Starr, as well as Yoko Ono Lennon, wife of John Lennon. 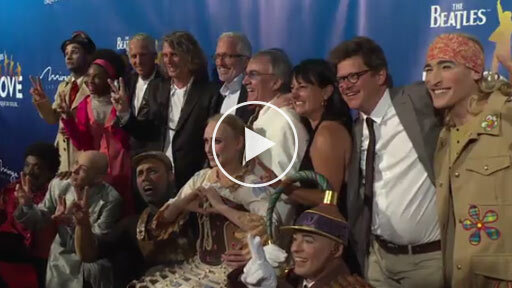 Additional red carpet appearances included Academy Award-winning actress Mira Sorvino; renowned actor Josh Hutcherson; famous film director, producer and actor Ron Howard; famous actor and comedian Kevin Nealon; host of ABC’s The Bachelor Chris Harrison; actors Cary Elwes, Kevin Dillon, Kristoff St. John and Ron White; Arlene Phillips, renowned English choreographer, theater director and judge on So You Think You Can Dance; Daniel Platzman and Ben McKee of the band Imagine Dragons; Joe Walsh, who has been a member of The Eagles since 1975, an occasional member of Ringo Starr’s All-Starr Band and a 1998 Rock and Roll Hall of Fame inductee; Aubrey Anderson-Emmons, child actress who plays “Lily” on ABC’s Modern Family; Primetime Emmy nominated actress and retired athlete Dot Jones; Mark Foster, founding member of indie pop band Foster the People; musician Chris Holmes; actor, director and screenwriter Christopher Backus; 2008 Olympic Champion Nastia Liukin; Dominic Champagne, writer, director and original concept creator of The Beatles LOVE; Giles Martin, LOVE musical director and Beatles producer; Emmy Award-winning choreographers Nappy Tabs; CEO of Cirque du Soleil Daniel Lamarre; cast members of The Beatles LOVE and more. 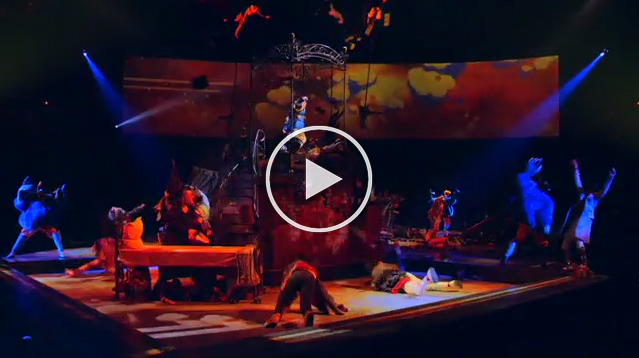 The show’s creative EVOLution culminated in the July 14 performance, bringing a splash of color to the Las Vegas Strip as the cast of 70 world-class artists grooved their way across the stage. 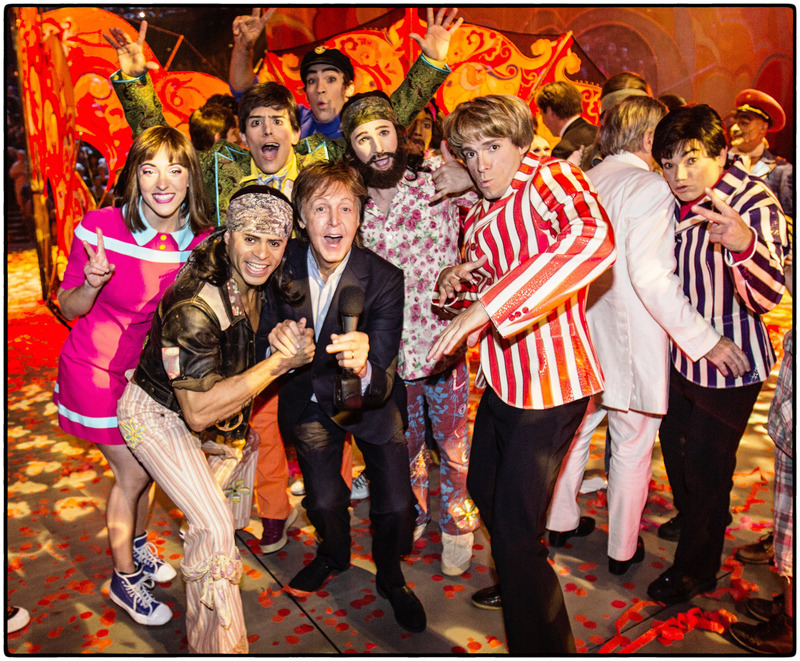 The new additions to the show include advanced projection technology, new acrobatic acts, a remixed soundtrack with a new song (“Twist and Shout”), colorful costumes, brand new speakers and state-of-the-art video panels featuring The Beatles’ images—bringing renewed life to the show that has already won the hearts of music and theater fans worldwide. Cirque du Soleil creation and co-production with Apple Corps Ltd., celebrates the musical legacy of The Beatles and is presented exclusively at The Mirage in Las Vegas. 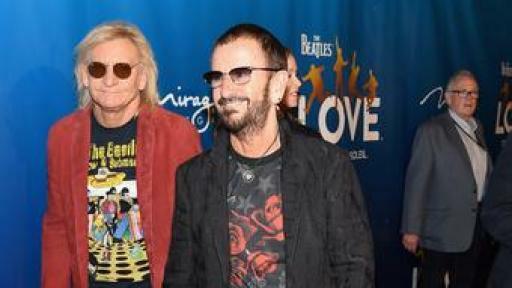 LOVE marks the first time that The Beatles’ company, Apple Corps Ltd., agreed to a major theatrical partnership. 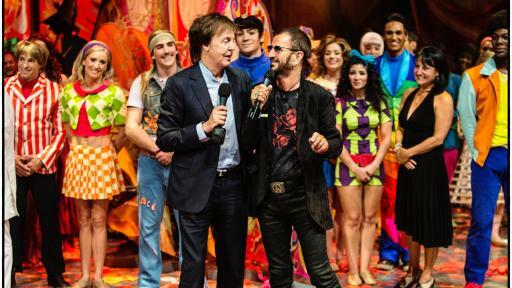 The project was born out of a personal friendship and mutual admiration between the late George Harrison and Cirque du Soleil founder Guy Laliberté. 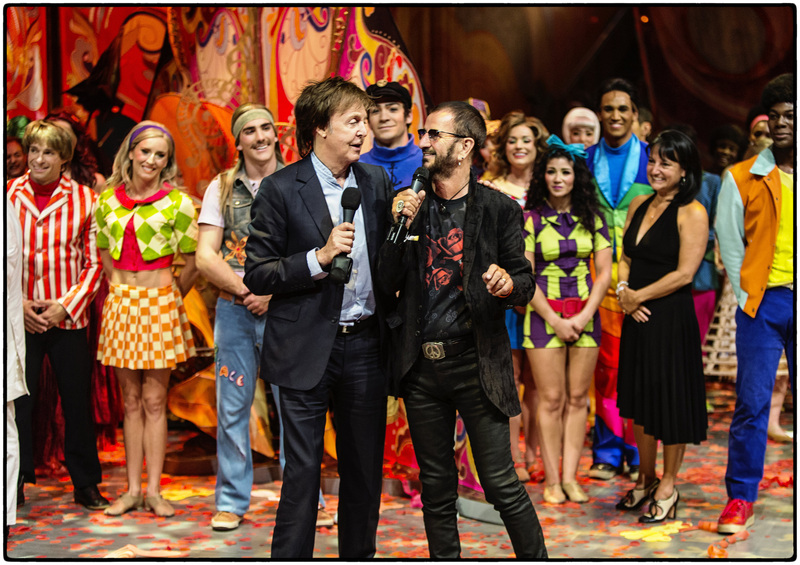 The Beatles LOVE by Cirque du Soleil opened to rave reviews on June 30, 2006. 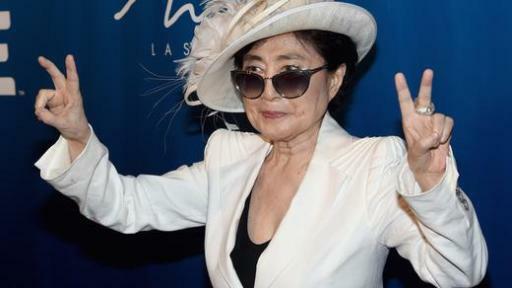 LOVE is the recipient of three GRAMMY Awards.